How to use Wave App for Sales to sell more. 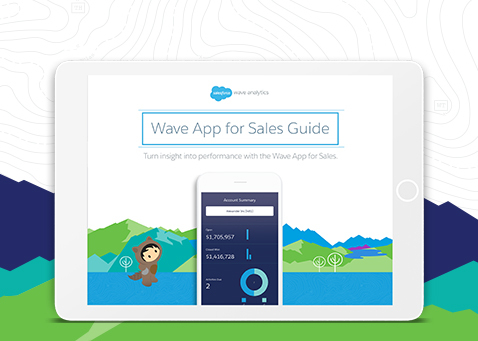 Built for Sales Cloud customers, Wave for Sales Analytics is a collection of best practice dashboards and KPIs designed to help guide you down a path to uncovering insights unique to your job function. In this guide we showcase these dashboards and demonstrate how each person in the sales organisation uses them to pull actionable insights from Sales Cloud data and sell more.